I talk a lot about traveling alone with your spouse after you have kids - it’s a constant goal of ours. Every quarter my husband and I do at least one overnight trip somewhere alone. It could be a hike, an Airbnb or something longer like the trip we just took. 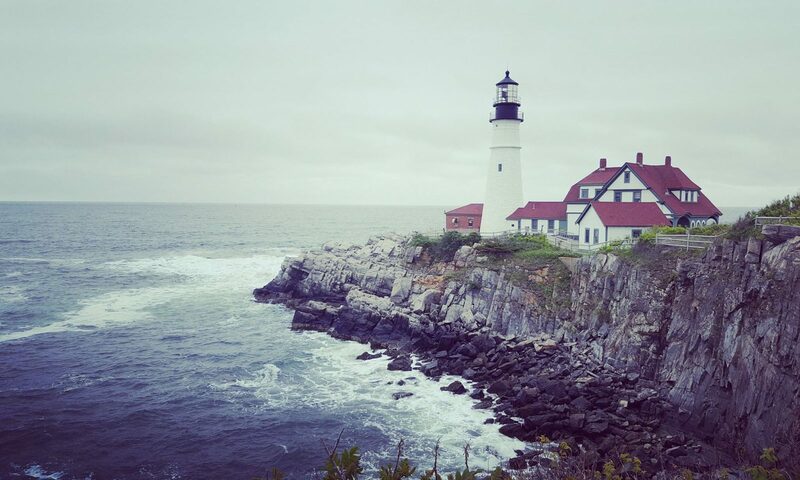 A friend of ours was graduating from Naval ODS in Newport and we took advantage of the opportunity – a 7-day trip up the NE coast of the US. 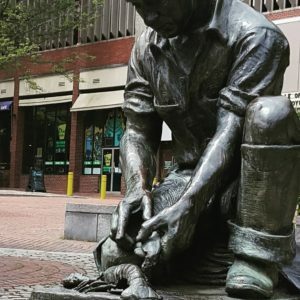 One of the most impactful cities we visited was Portland, Maine. I gotta say, May was an amazing time to be there. The weather was warm and just perfect. Portland’s vibe is really cool and it’s definitely a beer and foodie town, which is right up our alley! Everything is within a 10-minute walk of each other. We only had a few days there and there’s so much we didn’t see. Once I really thought about it, I realized Maine is undiscovered by a lot of my friends and family. So many people have asked me for a list of recommendations. So, I decided to oblige them. Below is a list of a recommendations from my husband and I, as well as some of our friends. Enjoy! Fore Street- Do not miss this upscale restaurant. Phenomenal (pricy, but WORTH IT). Memorial Day’s 2-hour wait led us to come back the next day when they opened at 5pm. Trust me - make your reservations 2 months in advance (yes, they’re that busy). We got amazing service at the bar. We ordered a variety of cocktails and food - everything was superb. Their menu changes daily, but the Maine mussels, mushroom pasta, and fresh oysters were all outstanding. All their fresh bread and desserts are made by the Standard Baking Company, which is just downstairs. Ridiculously amazing. 5 stars from us both. Standard Baking Co.- Come here every morning. Seriously. Most goodies all over Portland come from this bakery and with good reason - they are amazing. Their muffins, scones, cookies, and breads are to die for. You can find their cute shop underneath Fore Street restaurant by the water. And bonus, you can sit outside on the Terrace and enjoy your carbs. Worth every bite! 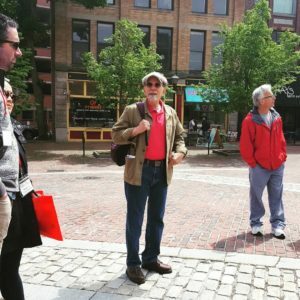 Maine Foodie Tours- We had a blast on this culinary walking tour. Stops included a spice shop, wine shop, chocolate shop, bakery, lobster restaurant, smoothie shop, and a beer store. Our guide, Mike, was outstanding - he had great stories to tell about local history and the local food scene. The tour It’s 3 hours long. 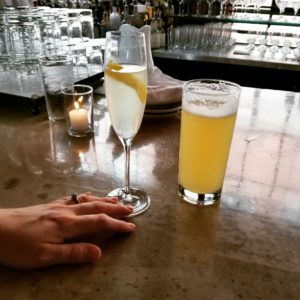 Central Provisions- Hard to get a seat and they don’t take reservations, but they have amazing cocktails and small plates. I think they even won a Michelin. We just had cocktails in the bar underneath and a pork belly appetizer that was amazing. I hope to come back here for dinner someday. Lobster rolls! We had many on our trip but found the best was at the Blue Lobster in Old Port. It was a stop on our foodie tour and the guide picked them up to go. So amazing and fresh! The restaurant was originally built so the town’s service staff had something to eat after hours. J’s Oysters- We came here for oysters, steamers, and beer around happy hour. There are really great views from their outside seating, though it’s a pretty small place overall and I hear the wait is long during peak times. Either way, it’s a great seafood shack. Coffee ME Up- Great locally owned coffee shop on the Westside. Amazing selection of coffee and little bites. Tomaso’s Canteen- Located next to the Hampton Inn. We came in to this little hole-in-the-wall watch the NHL playoff game and sat at the bar. They serve typical bar food, but the bartender and service were great. They even have jukebox. Fun. Hampton Inn- In the Old Port part of town. Great service, okay prices, and centrally located - you can literally walk anywhere from here. (Although honestly anywhere in Portland is a 10-minute walk!) Sebago Brewing Co- Don’t waste your time here. We had a late dinner (out of desperation). Service was okay and so was the food, BUT for Portland, it just doesn’t measure up. Grace- It’s a restaurant that used to be an old church. Our foodie tour guy said it’s one of the best meals you can get in town and it’s not in the tourist area. Hate that we missed this one! Eventide - Seafood is outrageous (“oysters are out of this world”). Important to mention that the prices are high and portions are small though. Duck fat- Get the poutine. Great for lunch. Sonny's Restaurant- This is a cocktail bar in the Old Port district. Novare Res Bier cafe- Taproom and beer garden known for their Belgium beer and huge beer list. Bissell Brothers - They moved to Thompson's Point, which is a cool area. Nice large hang out space overlooking the water. I believe there’s a winery on one side and a distillery on the other. Plus, this is my friend's favorite beer. The "Brewery Cluster" is a section of town a few minutes from Portland proper. Hit up these brewers: Allagash, Foundation, Austin Street (it’s on the back side of the garage-y buildings), and Battery Steele Brewing (brand new). If you’re looking for breweries downtown, Sebago, Rising Tide, and Liquid Riot are all decent. Becky’s Diner.  They do low-key seafood and comfort food. My friend said everything they tried was delicious.. even the rolls. And they have a baked scallop dish that is sinfully good. The Holy Donut- They make potato doughnuts that people rave about (fair warning - my friend personally thought they were just meh). **Side note: On the drive to Bar Harbor from Portland, we stopped a cute small town called Camden. Such cute shops, an old mill, and great water views. The Smiling Cow was a super cute shop and we had a beer at Seadog Brewing overlooking the water. We also stopped in Freeport, ME to see the big LL Bean store and had amazing lobster rolls in Rockland, ME. 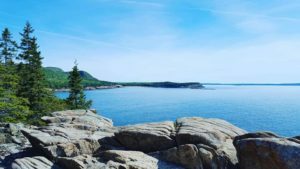 I have to say, my favorite part of our trip was Acadia National Park (stay tuned for a blog about it!) Suffice to say, if Portland’s on your bucket list, add the park now! It’s amazing.